Beautiful Chinese horseshoe back chair originating from the Shanxi province. It has a carved motif in the back panel which accentuates its stylistic simplicity. Long established seller with 100% feedback. 3 seat sofa: Decorated with MOP and abalone shell inlay - traditionally, the pictures on each place. This is part of a Lounge Suite of Rosewood furniture. The sofa, with its back to the wall projects 70 cm to its front edge. The Chair is in fantastic condition, with the odd age related mark, nibble on the feet etc. A magnificent early twentieth century oriental hardwood cane seated hall bench circa 1900, the back and apron profusely carved with entwined scrolling lotus, raised on heavily carved legs. Pair Ornate Chinese Dragon Chairs. A pair of Chinese Dragon Chairs. Very ornate/decorative. Near Pair Chinese or Japanese Dragon Carved Wood Chairs. carved dragon chairs. Highly decorative pair, dark stained (almost black), Chinese. They only need the addition of fitted cushions in your own choice of covering to complete the set. If you would like to see more of the our restoration work we are currently putting together a youtube channel here. Heavily carved chinese wooden chair (black). Depth from front of seat to back - 46cm. These very smart chairs are well constructed in solid elm and date from the late 19th century. The lacquer is attractively rubbed along the front footrails, the fronts of the seats and the arms where the golden colour of the elm shows through beautifully. Latice carved pattern carved on the sides and front as seen in the photos. I'm unsure of the wood and age and the exact origin and use of the chair - could have a religious function. The sit on height of the chair is 40cm. Outside this area - £80.00 U.K. mainland only. Here's a stunning Chinese chair with outstanding carved features. Has got marks and wear which you would expect . But just adds to the great look it gives. The chair has been appraised by Sothebys of London. Collection preffured but may deliver at an extra cost please ask for a delivery price. An exceptional pair of Chinese hardwood horseshoe back chairs with circular curving arms above a solid panelled seat, with line moulded apron rail. Legs joined by stretchers with a foot rail. One of the most graceful of Chinese chair designs, this armchair design originated more than 500 years ago during the Ming Dynasty. 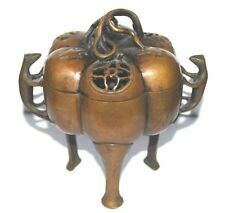 Here's a stunning Chinese chair with outstanding carved features. Has got marks and wear .But just adds to the great look it gives. Has got slight damage to lower mid carving see photo. The chair has been appraised by Sothebys of London. 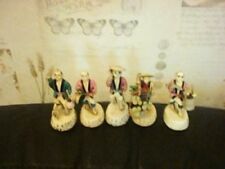 Collection preffured but may deliver at an extra cost please ask for a delivery price. Approx 218cm long x 107cm deep x 90cm tall. CHINA£1000. IMPORTANT NOTE. One Pair of traditional Chinese 'horseshoe' armchairs, in Jumu wood. Beautiful quality. The chair is designed to be used by a child and is tall with a pull-out step to the base. 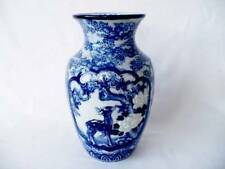 It has slender shaped arms and a traditional yoke back which is signed to the rear with four hand painted Chinese characters. Decorated with hand-painted images and imitation pearlescent mounts on rear of seat-back. Hand painted Chinese / oriental style straight back chair. Item is in excellent condition with seat pad cushion still in its wrapping. A really rare and expertly hand carved piece, the detail is never ending and of the highest standard, there are many variations of these chairs with dragons on, this is the only one of its kind to have Elephants that I have ever seen and I have thoroughly searched the internet. Lovely pair of Chinese Huanghuali ox back horseshoe chairs. These chairs are based on the 17. 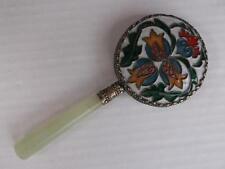 The condition is very good, we have cleaned waxed and polished them from top to bottom. It was preceded by theMing dynasty and succeeded by theRepublic of China. The dynasty was founded by theJurchen Aisin Gioro clan inManchuria. In the late sixteenth century,Nurhaci, originally a Ming vassal, began organizing Jurchen clans into "Banners ", military-social units. Excellent quality throughout. Very well detailed carving. A very grand and regal chair. A most imposing piece of furniture. This is part of a huge church and country house antique clearance. We are third generation furniture designers, manufacturers, fine artists and enthusiasts. Excellent quality throughout. Very well detailed carving. A most imposing piece of furniture. A very grand and regal pair. This is part of a huge church and country house antique clearance. We are third generation furniture designers, manufacturers, fine artists and enthusiasts. Th century very heavy solid hardwood Emperor Throne armchairs. There are around 50-100 high definition super-sized pictures at the bottom of this page. Th century chair. th century, I’m unsure on the exact age but it is very old. Width:- 62cm. We have deep cleaned hand condition waxed and hand polished the pair from top to bottom. There is around 50-100 high definition super-sized pictures at the bottom of this page. Th century redwood lacquered hand painted with birds and lotus leaf detailing armchair. There is around 50-100 high definition super-sized pictures at the bottom of this page. Depth:- 47.5cm. 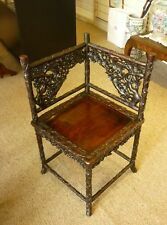 Lovely very rare antique redish lacquered Chinese wedding chair. The tradition was for the bride to be carried on this chair to grooms house where her feet were bound. 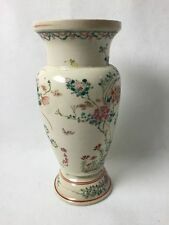 Depth:- 43.5cm. 21"H FROM THE GROUND TO SEAT.WEIGHTS 21 LBS. A beautiful piece that will add to your décor! in excellent condition.